Halloween already? I feel like I say this every month, but the time sure is flying by! I’ve been trying to slow it down and enjoy the day to day moments, but but it is still passing by too quickly! 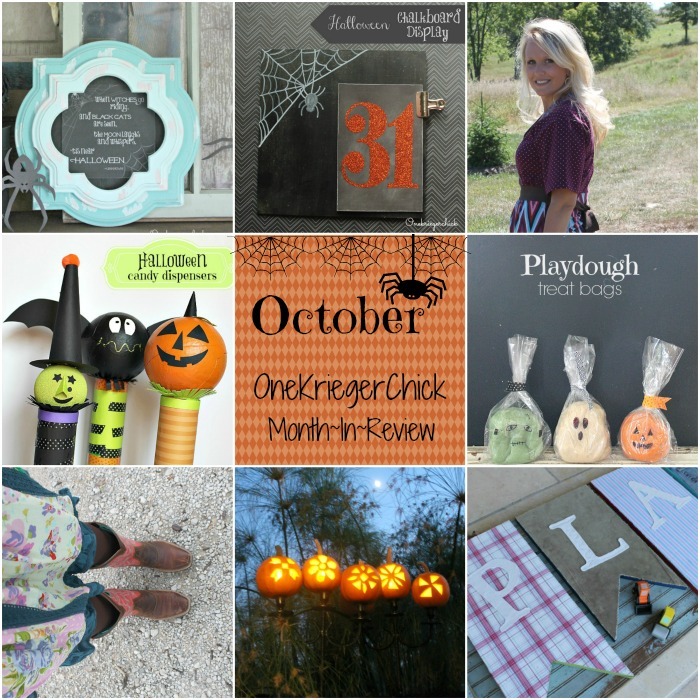 Many fun Guest Posts were shared! If you haven’t checked out these ladies, you’ll want to! **Want to know a little more about me? Head over to So You Think You’re Crafty and check out my Interview!